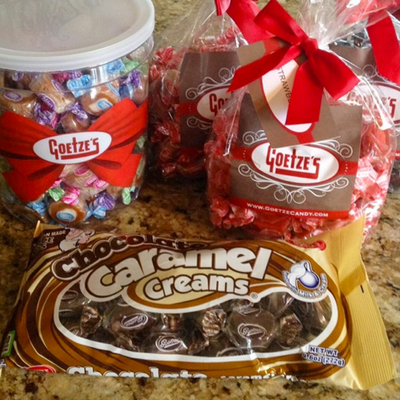 Did you know that Goetze's Candy Company makes two different types of Chocolate Caramel Creams®? 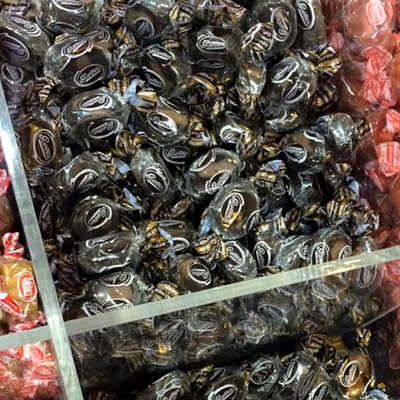 One is made with the original white center, and the other comes with a chocolate center. Do you have a favorite? 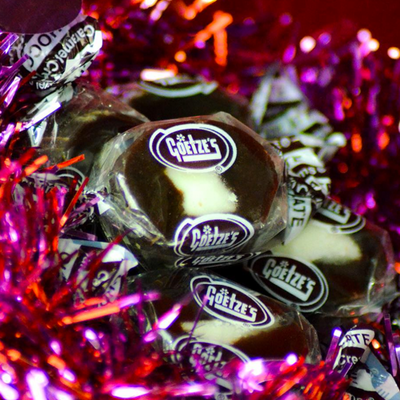 Goetze's "Original" Chocolate Caramel Creams are made of a chewy, chocolate caramel filled with the delicious, creamy classic vanilla creams center. ​The 4 oz. bag is now available at Dollar General, and the 10 oz. bag can be found at Walmart. 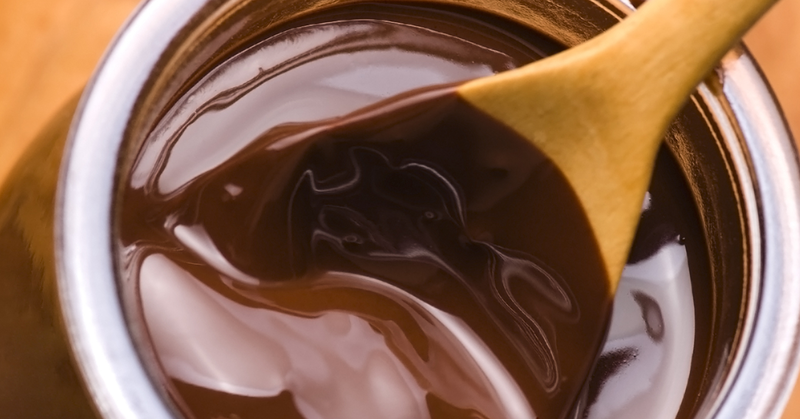 Melt your Chocolate Caramel Creams into a delicious sauce and add it to your favorite desserts! 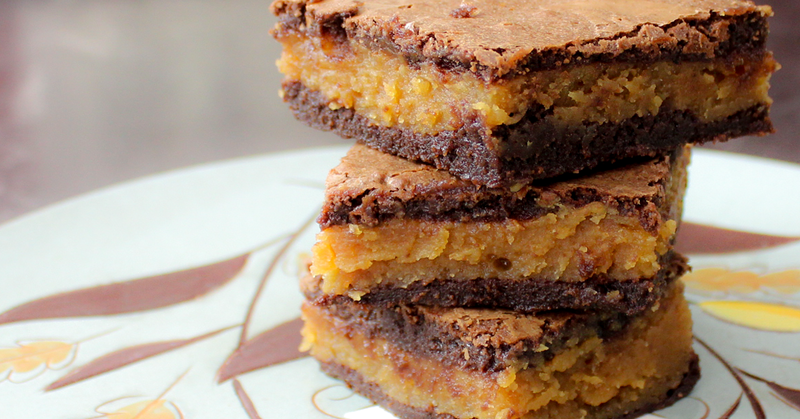 Fill homemade brownies with delicious Caramel Creams caramel sauce! 2010 recipe winner! This chocolate cake with a caramel center is delicious and easy to make! 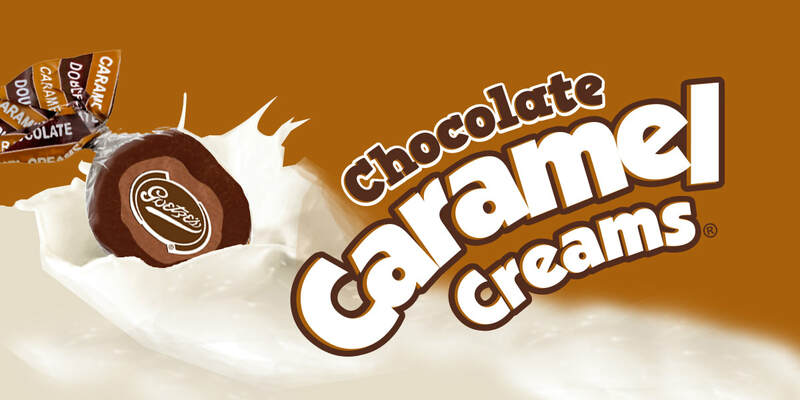 Treat your Valentine to Original Chocolate Caramel Creams! Get them at Dollar General. Chocolate Caramel Creams with a chocolate cream center! 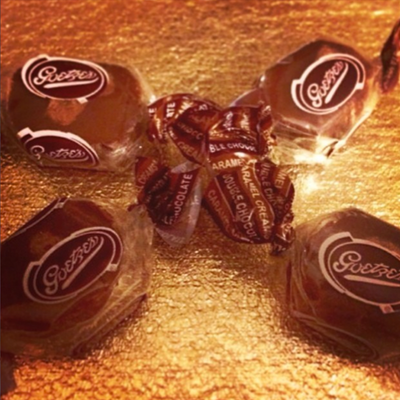 The BEST Mother's Day gifts include Chocolate Caramel Creams! 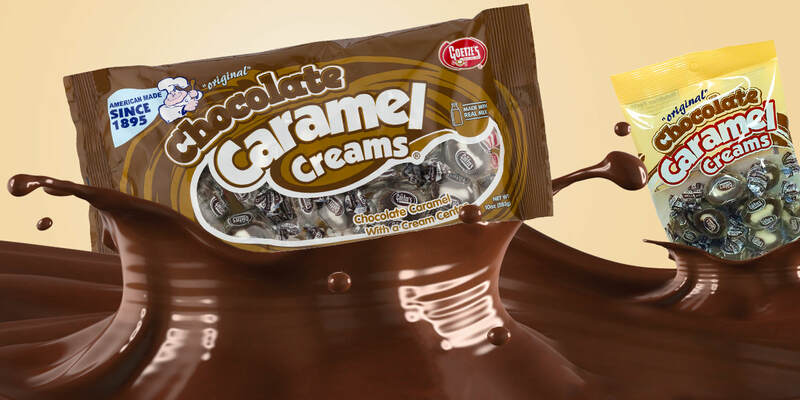 The Sweetest Temptations Blog loves Chocolate Caramel Creams!